Finding rest (something we all need to stay sane and whole) can be difficult. We know that busy women like us need it, but we’re left with only one question: How? How can we regularly get the emotional rest we need to stay sane and whole (and discover a more joyful life in every season)? I’m not talking about theoretical ideals. I mean practical, everyday solutions for emotional wholeness and health. Friend, I have struggled my entire mothering journey to incorporate everyday joy and rest into my life. But I have learned so much about the importance of rest since I first became a mom 15 years ago! I want to give you 8 simple guidelines I use so that you can be at your best too, no matter what mothering season you’re in! I used to beat myself up that I couldn’t discover “the” schedule or even “the” way that ensured that I stayed well-rested as a mom. However, the fact is that life is constantly changing. Our kids are constantly changing. We are always changing. And therefore, doesn’t it make sense that what bring us rest will vary from season to season? Why in the world should we believe that we can simply “discover” the ultimate way to get rest and tackle this issue once and for all? That’s simply preposterous, right? Instead of looking for a cure-all that works for every season, I’ve discovered 8 keys to successfully incorporating the true soul rest I need into my current mothering season. 1) Let your overall life purpose bring rest and perspective. You were created with a purpose. And if you’re a mom, a big part of this season’s purpose is to be the best mom and wife you can be. But ultimately, you were created as God’s child with a purpose and destiny that far extends these child-rearing years. You are a person with a soul and a reason for being on this earth. What does this have to do with staying rested and replenished? Everything because replenishment and rest come when we can see our lives as bigger than just this moment. We get so caught up in the day to day, and regular rest through quiet times with God bring a calm and a bigger perspective that is unmatched by anything else. 2) Make time with God–the giver of true rest–a priority every day. Regular time in God’s word–praying, listening, just being with God–changes everything for me (have you experienced the power of finding rest in the Lord?). It is how we were wired for finding rest. Of course, the biggest obstacle for any of us is time. But here’s the thing: We don’t need to live on a mountaintop by ourselves to experience true spiritual replenishment everyday. Even 10 minutes of intentional quiet time with God each day can bring true soul rest and replenishment. 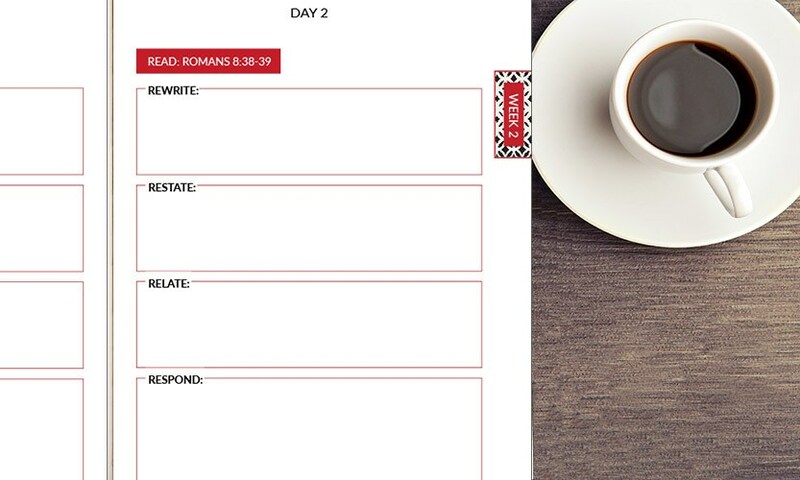 In fact, I created the 5Rs Bible Study Journals for busy women like you and me who need authentic spiritual renewal each day but only have a few minutes to spare. Check out the Joy Full 5Rs Bible Study Journal and the Be Loved 5Rs Bible Study Journal. The 5Rs Bible Study Journals use the innovative 5Rs Bible Study™ Method (Read, Rewrite, Restate, Relate, Respond) to teach you how to read, understand and apply God’s word to your life–right now–so that you can find more rest and peace. The best part? The 5Rs is designed to be in-depth Bible study that happens in under 10 minutes a day! Perfect for busy moms like you and me, right? Then, at the end of the week in the “Reflect” section, you’ll dig even deeper into that week’s topic, exploring other Bible verses and Bible stories and relating them to your life. Aren’t they gorgeous? And can’t you see how this simple time in God’s word each day can bring you rest too? Letting God refill and replenish my spirit each day is one of the best ways I find rest! And with the 5Rs, finding rest in Jesus all happens in under 10 minutes a day. Imagine how much better you’d feel if you could connect with God and be replenished each day! I highly encourage you to check out the 5Rs Bible Study Resources here so that you can find rest and find soul refreshment each day! 3) Discover other restful activities for this season. Often the answer to what fills you up is the opposite of what you have too much of in this season. For example, when I was a nursing mom and a mom of toddlers, I had little people who physically needed me day in and day out. That’s why it was important for me to physically take breaks away from my kids whenever I was able. Now my kids are a bit older and they’re quite noisy (believe it or not, tweens, teens and even preschoolers can be louder than babies!) and I am busy helping them with their school and extracurricular activities. So what fills me up is silence, stillness and being able to create beauty on my own (writing is a big part of that). Friend, we’ll never ever be able to do everything that we consider “restful” in every season. Unfortunately, that is part of the sacrifice of mothering! However, I challenge you to come up with a variety of things that would bring you replenishment and that are realistic for this mothering season. Think out of the box and don’t worry if they’re the “right” things or not. They need to be what fills you up, not someone else. 4) Find the stolen moments for rest (and protect them). Those are precious times, friend. Those are needed times. They must be scheduled, protected and fought for. Truly. We’re not going to get a week away at a fancy spa (which is probably what we all really need), but regularly scheduled stolen moments (doing things that fill your soul) can make a world of difference. 5) Be aware of distractions (and how they keep you from true rest). Forgive me, but I need to state the obvious: we all probably spend too much time in front of a screen, and this alone hinders our ability to find authentic soul rest. This is something I have to keep on top of all the time. It’s very easy, especially after a tough mothering day to just want to completely check out in front of a screen. TV and social media have their place (some days we do need to know that life does exist outside these four walls! ), but they can easily become a rest-stealer instead of a rejuvenator. I’m not saying we need to completely eliminate screen time; I’m just encouraging you to consider how much “rest time” you spend in front a device. Because you and I both know that screens (whether big or little) can very quickly make us lose all track of time. You may consider taking a break from television or social media for a time. Or maybe you take a break from it on certain nights of the week so that you can concentrate on those things that will truly fill up your soul. 6) Rethink your daily habits and make finding rest a part of them. Habits are the tiny steps that take us where we will end up. If we want to lose 20 pounds this year, the habit of working out every weekday brings us closer to our desired goal. At the same time, the habit of a drinking a sugary, caffeinated drink three days a week takes us further from our weight loss goals. I know this is not a new concept (in fact, it’s quite obvious). But it’s worth pointing out that little, repeated investments in anything produce a result. Therefore, if we want to sustain a restful, replenished spirit, then we can’t look to rest as a short-term fix. It must become a lifestyle sustained by little habits (go back to step one to see what those habits could be for this season). If you are looking to set up good spiritual growth habits, check out this post. Of course habits are hard to form and to sustain! But how important is your sanity and peace? 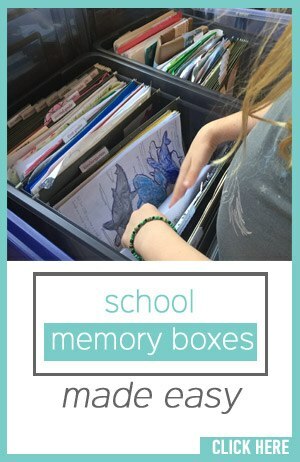 How important is it to you to mentally maintain a sense of order in the crazy child-rearing years? 7) Clearly define why you need soul rest (and fight for it). I’m guessing you probably don’t go to bed each night without practicing the habit of brushing your teeth, right? You and I have great reasons for keeping up this habit (teeth that don’t fall out, decent-smelling breath, etc) and so it’s a no-brainer. Find your why behind your need for rest. What kind of a mom, wife and friend could you be if you’ve cultivated the habit of rest? Future pace yourself in that position and really experience the emotions behind it. How different could your life be? Here’s another example: I don’t enjoy working out, and I never have. But thirty minutes of sweat a few days a week somehow equals better fitting clothes and a much happier me, so I continue to practice the habit. That’s the kind of “why” I want you to find in order to create a lifestyle with more soul rest. 8) Find accountability by meeting with other moms who need soul rest too. Girl, this is not easy stuff. There’s a reason why so many of us struggle to keep rest and replenishment a priority in our lives. It takes self commitment, yes. But it also takes a supportive team behind us. What can that look like? It depends on your season. For a long time, I attended a MOPS group (Mothers of Preschoolers) and just being with other moms one day a week brought so much sanity. Right now I’m part of a weekly women’s Bible study where I get encouragement. I also meet monthly with a friend of mine whom I consider a “spiritual mentor” and she gives me a wonderfully refreshing perspective on life (her kids are now grown and she’s a grandmother). If you’re overwhelmed by all of this, I’d encourage you to start by making one small switch–build a solid foundation of rest that begins with finding rest in the Lord each day. This is why the 5Rs Bible Study Journals are such an incredible tool for moms like us. These simple-yet-powerful Bible study journals gently lead you on a path toward connecting with God and discovering how to find joy and rest in the midst of the everyday craziness (in under 10 minutes a day!). You’ll know exactly what to do each day, and little by little you’ll find rest. 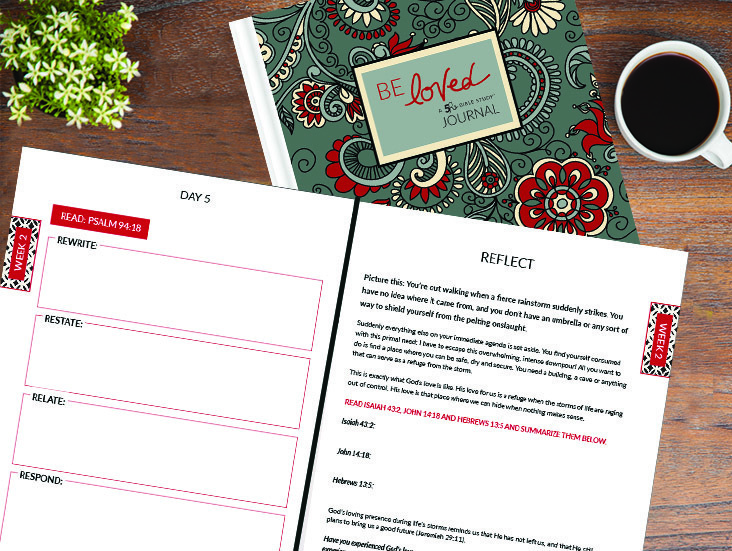 Why not give the first week of the Joy Full 5Rs Bible Study™ Journal a try FOR FREE? Yes, I said for FREE! Just click on the image below, enter your info, and I’d be glad to send that your way! Experience how simple it can be to welcome rest into your life (in minutes a day) by connecting with God’s word. This sample will give you a great taste of what the full Joy Full 5Rs Bible Study Journal is like. You are worth it, and your family deserves a well-rested mama! I pray that you will take this first step today to finding rest and discovering a happier you! And don’t forget to pick up one of the 5Rs Bible Study Journals!